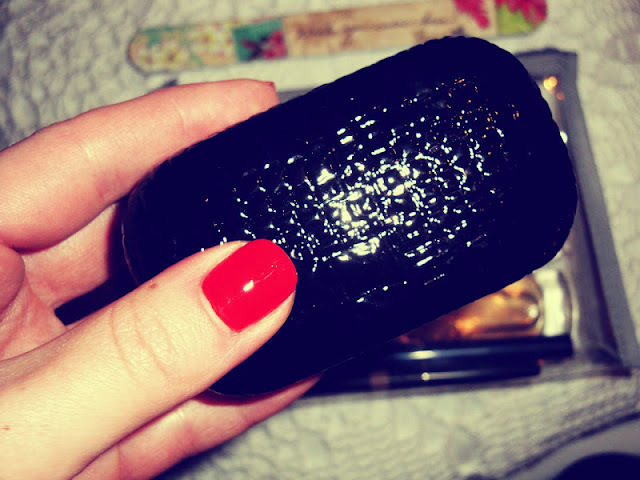 ...comes with a contact lenses container, and even has a tiny mirror inside! Muji black linen large pencase that I would use as a make-up bag, only £2!!! Ok, I decided since everyone is travelling right now to suggest a few things which I think are awesome when it comes to travelling! 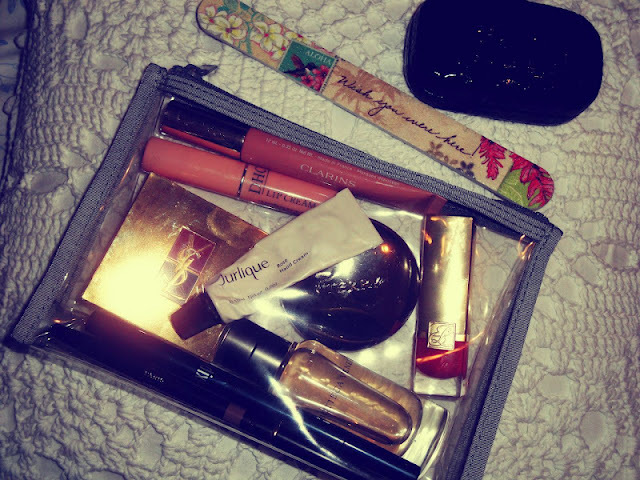 I don't know about you, but I'm sick of those airport plastic bags you have to put your precious make up into... I mean Chanel, YSL, By Terry, Estee Lauder, Bottega Veneta, etc in a plastic bag, seriously?! No, no more plastic bags for moi thank you very much! 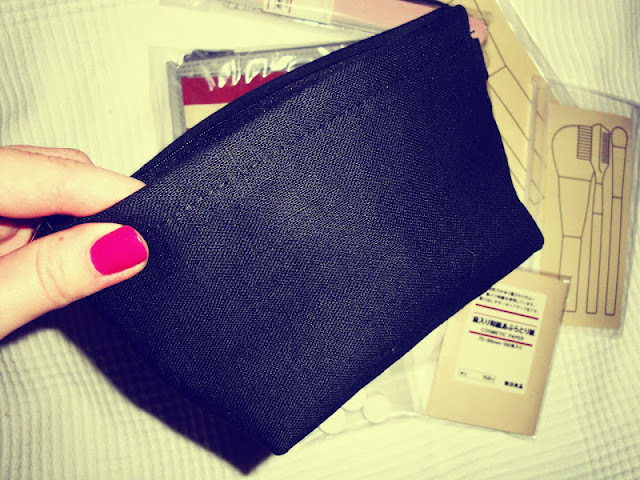 Last time I went to Selfridges I decided to check out Muji, I know they deliver super fast if you order online, which is great if you are running like a headless chicken sorting out stuff before you go away! I also quite liked their brush cases in different sizes, the big one fits my longest MAC brush easily... The other two items I though were quite fun as well is a pack of the tablet looking compressed dehydrated facial wipes... You can conveniently place one of those in a plastic glass and pour a little hot or cold water on top and watch it grow, super refreshing for your face or hands... And also under eye patches are pretty good for when travelling, especially if you are prone to puffy eyes... Just take a small tube of cooling eye gel, apply a tiny amount onto the patches and place them under the eyes... If you don't want to look ridiculous pull on an eye mask for 10-15 minutes and relax! 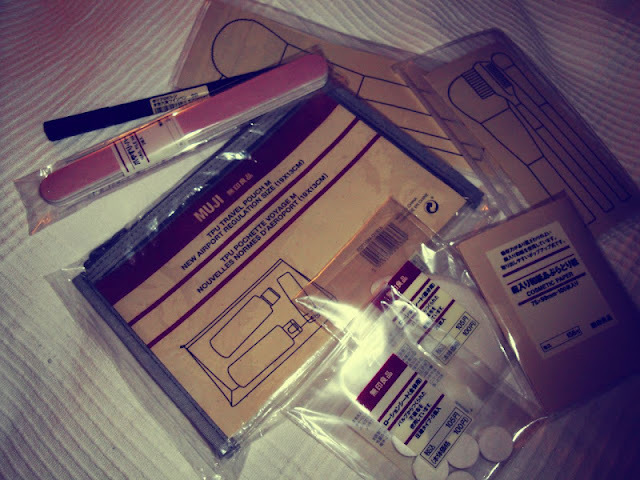 And although the next two items are not Muji I could not not include them... Cute looking Claire's holiday theme nail file and they had this neat looking contact-lenses case, which I couldn't walk past... My eyes get very dry on airplanes, so I find it's nice to take your contact lenses out during the flight and give your eyes a little break... And with this chic looking patent croc contact lenses case you can easily do this in the convenience of your seat! Bright Summer Colours - Corals!